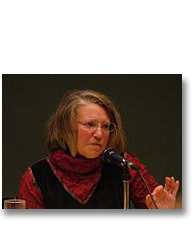 Nancy Fraser is Henry A. and Louise Loeb Professor of Philosophy and Politics at the New School for Social Research and was recently named to a Chaire Blaise Pascal at the École des hautes études en sciences sociales in Paris. She is the author (with Axel Honneth) of Redistribution or Recognition? A Political-Philosophical Exchange; Justice Interruptus: Critical Reflections on the Postsocialist Condition; and Unruly Practices: Power, Discourse, and Gender in Contemporary Social Theory. Her newest book is Adding Insult to Injury: Debating Redistribution, Recognition, and Representation.